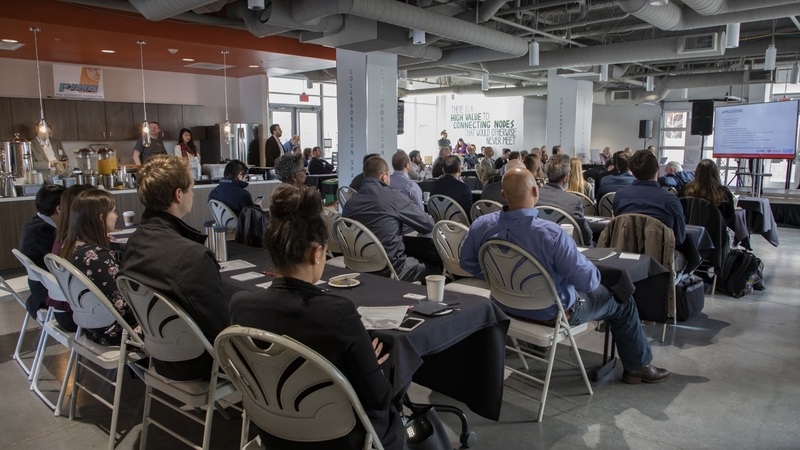 Representatives from a plethora of research industry manufacturers and stake holders took part in the inaugural Agile Manufacturing Center Showcase, hosted by The University of New Mexico (UNM) and the Air Force Research Laboratory (AFRL). 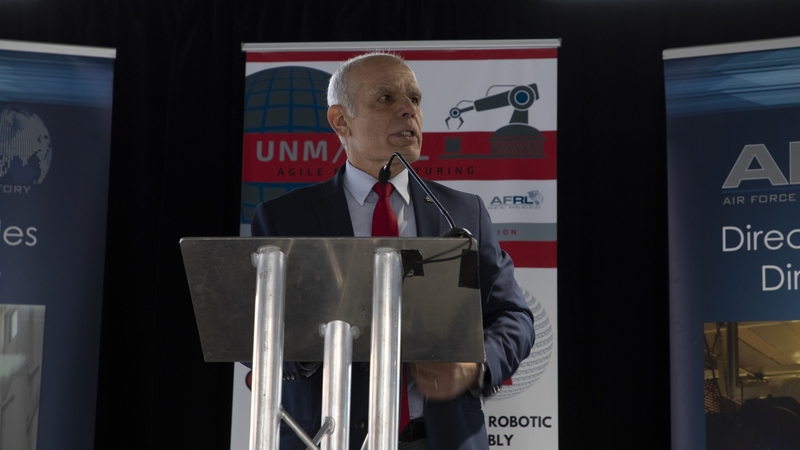 The UNM/AFRL Agile Manufacturing Center Showcase aimed and showing manufacturing industry leaders technology being developed by UNM and AFRL through presentations, demonstrations, posters and a keynote address. 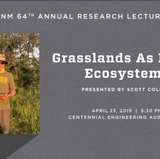 Lockheed Martin, Los Alamos National Labs, Sandia National Labs, Sol Oriens, Kirtland Air Force Base, General Atomics, New Space New Mexico, CABQ and New Mexico Tech were just a few of the groups represented at the event in late February at UNM’s Lobo Rainforest. 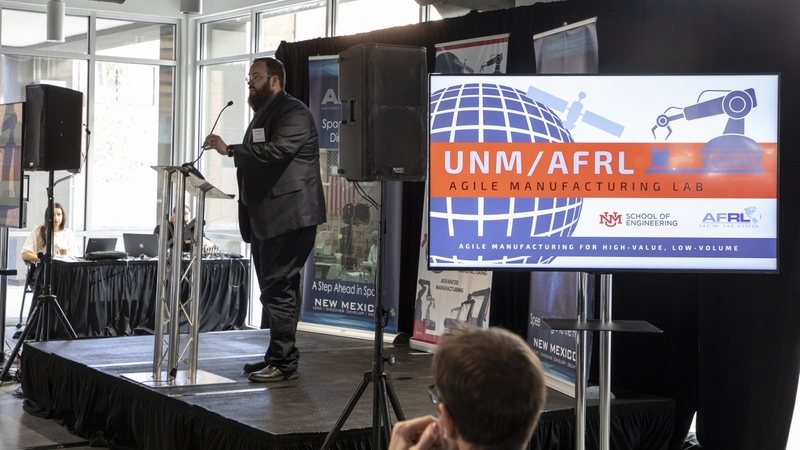 The UNM/AFRL Agile Manufacturing Lab is a center of open innovation that aims at enhancing local economic impact while stimulating strategic relationships in agile manufacturing and educational partnerships between the UNM School of Engineering and AFRL. 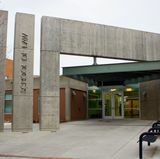 It was established in 2018 using government funding through an agreement with AFRL. 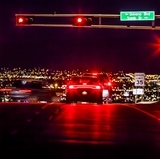 “But that funding not enough to sustain the center and won’t guarantee the transition of the intellectual property that’s developed in the center to industry,” said Robert Peterkin, director of the Albuquerque Operations for General Atomics Electromagnetic Systems. 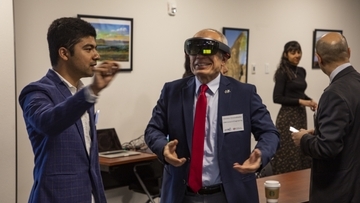 To create more sustainability and transferability, the center hosted the showcase to give stakeholders a glimpse of the research happening at UNM and AFRL – from multi-material additive manufacturing, to augmented sensing and reality. 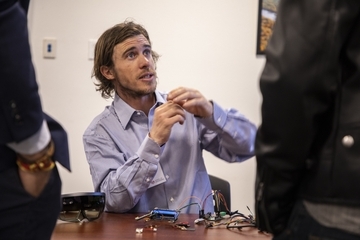 Organizers then provided event-goers with an online survey to take following the showcase. 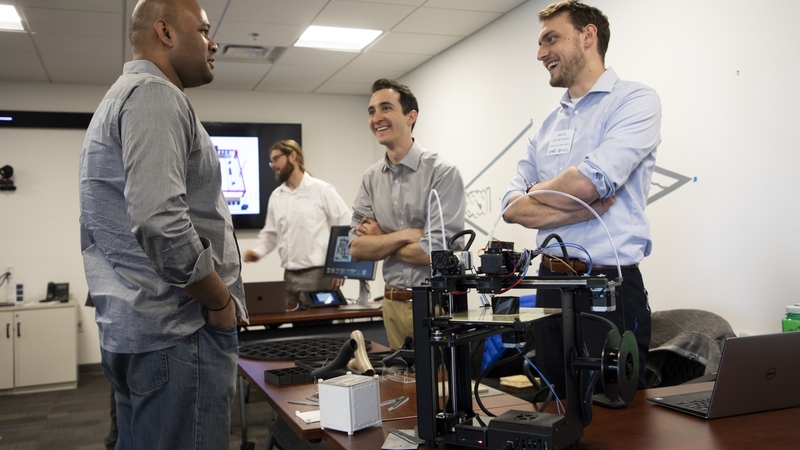 Peterkin says the feedback will help direct the center’s efforts to establish processes for identifying intellectual properties and transitioning them to industry. It will also help academics get a better feel for the degree in which industry is interested, when deciding what research to pursue.